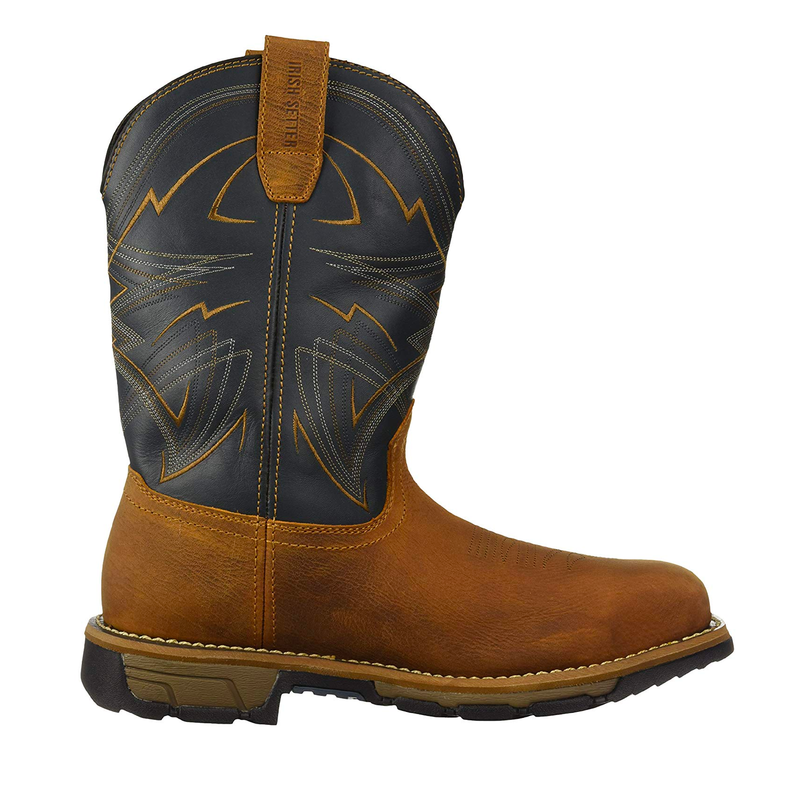 These western work boots for men ensure safety and comfort with a steel toe, waterproof leather, and electrical hazard protection. Electrical hazard meets ASTM standard. Waterproof Ultra Dry™.